When Steve Jobs laid eyes on Laurene Powell while giving a lecture at Stanford in 1989, it was love at first sight - or so the story says. The two married less than a year later, in March 1991. 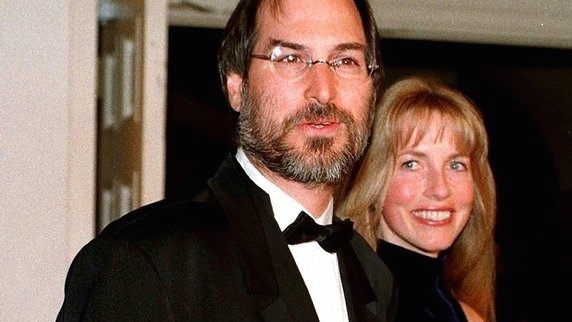 Steve and Laurene Jobs were happily married, and gave birth to three children: Reed, Erin and Eve. Before meeting Steve, Laurene got an MBA from the Stanford Business School, and was a trader at Merrill Lynch and Goldman Sachs. She later started Terravera, a natural foods caterer, and College Track, an after-school program to help 'at-risk' high-school students to get into college.